SUMMARY: National Instruments, a provider of hardware and software for engineers, has products ranging from hundreds to millions of dollars. Consequently, its website serves as both a lead gen engine and an e-commerce hub. This how-to article covers seven tactics the marketing team used to serve both functions: driving both online purchases and qualified leads for Sales. These tactics include utilizing tools to learn more about visitors and offer recommendations, and using targeted social proof to gain prospect trust. 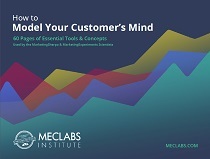 Joe Rawlinson, Senior E-commerce Product Manager, National Instruments, will present these tactics at the MarketingSherpa B2B Summit 2012, August 27-30 in Orlando. National Instruments provides hardware, software, services and training for engineers with a very broad customer base. The company sells products ranging from $100 up to multimillion-dollar systems. In effect, National Instruments has two business segments: the lower-cost business that is very transactional, and the higher-level system-based business. Joe Rawlinson, Senior E-commerce Product Manager, National Instruments, said, "As marketers, we need to be able to accommodate both of these business models on our website. On the low end, we can close those sales online. We can nurture and explain our products to those customers, and then process the order through the website." He continued, "On the high end, where our customers would be spending thousands of dollars, or more, it becomes more of a traditional lead generation model. We need to be able to explain these more complex systems to these customers, help them feel comfortable with what the options are, then turn those (prospects) into high-quality sales leads for our sales force to follow up on." This how-to looks at the tactics National Instruments uses to meet these two different marketing goals with one website. Depending on the price point of the product being viewed on the site, the goal might be either to drive an immediate sale or to generate a lead for Sales. "We had a traditional product page that had a primary product and then had a bunch of accessories. Unfortunately, this page was rather overwhelming to our prospective customers because there were literally dozens of options on that page," Rawlinson stated. He said the marketing team realized a prospect dealing with an actual salesperson would never have dozens of products just thrown at them in the presentation. He added this led to the idea simplifying the options on the website to more closely mimic the in-person sales experience. Rawlinson stated, "We simplified it down to the individual primary product, plus some recommended accessories, so we cut the list of two or three dozen products down to three, clearly explaining how those products all fit together." This concept was applied across the website, so the goal for the lower-end transactional items was an immediate sale, and for high-dollar products, the goal was to generate a lead. Each page for all products featured an option to make an immediate purchase and two calls-to-action (CTAs) for lead gen. The first CTA was a "request a quote" button leading to a form with fields for name, company and contact information. The company would take this information, create a quote, and email it back to the prospect, while at the same time generating a lead through the form. The second CTA was a save-it-for-later tool called "parts list." Rawlinson described this tool as a business version of a wish list, with built-in collaboration where the prospects can share the list with other people in their company to ensure the products are correct for their needs, and to facilitate the buying cycle. This tactic of simplifying the user experience increased units sold by 29% and overall revenue 28%. National Instruments' flagship software product comes in what Rawlinson described as several different "flavors." This created some confusion in prospective customers because they didn’t always understand which version of software product was best for their needs. To allow that prospect to continue the process on the website, and not have to reach out to the company with questions, the team created a tool called "help me choose." The prospect would enter the tool and choose their requirements for the software -- what they care about and what they want the software to do -- and then they are presented with only the products that meet those needs. Like the physical product pages, the software product pages included the same options of buy-it-now, "request a quote," and adding to the "parts list." "Like a salesperson would listen to the needs or the concerns of the customer and then make a more accurate recommendation of the product," said Rawlinson, "we mimic that pattern through the website." Providing prospects with product tradeoffs increased conversion to cart and quote 50% over standard product pages. This tactic actually combines the basic principles of the first two tactics -- simplify the options and offer a tool to help organize those options. "The salesperson on the sales call is not going to dump everything on the lap of the customer and make them sort it out," Rawlinson explained. The prospect is offered an online tool that asks him or her questions relative to product lines the website visitor is investigating, and the tool takes this information to categorize and organize what products that prospect sees. Rawlinson said this tool helps customers focus on the products most applicable, and it aids in website search as well. "This tool has been able to help us get about twice as many people actually finding the product," he stated. This tactic builds on the organizing tool from the previous tactic and looks at an online advisory tool for National Instruments’ more complex products. Rawlinson said these products are expensive and that the advisory tools are used for lead generation. "This [tool] is around the concept of attribute-based decisions," Rawlinson said. "Instead of asking an open question of a customer, such as, ‘What do you want?’ [the tool walks] the customer through a series of easy-to-understand questions." He added, "In isolation, each of these questions is easier to understand and answer, but ultimately, when you string them together, they reach a more complex solution." The advisory tools walked customers through the configuration of systems that involved dozens of components. "What kind of signal do you want to measure?" If the answer is "voltage," the next question is, "What kind of voltages?" "What levels of voltage do you need?" With the information provided, the prospect was offered products that met the specific need indicated through the advisor. The same process was repeated throughout each element of the larger system. The idea was to replicate the experience of working with a salesperson who understood the customer’s needs and the capabilities of the available products. Rawlinson said the advisor not only explained the products, but it also had built-in logic to ensure the customer didn’t select incompatible products during the system configuration. He said an added benefit was because the prospect had spent significant time configuring a complex system on the website, there was some level of intent to purchase. That made it easier for Sales to follow up with the prospect. Rawlinson said product recommendations on the website were powerful drivers of sales. For example, a prospect using National Instruments’ advisor tool when configuring a complex system is making multiple product decisions, and one area of friction is getting hung up on the micro-decisions. Rawlinson said these "stumbling blocks" negatively affect conversion. Within the tool, the team included a feature that once someone chose a primary product, the tool would default (and in the process recommend) the accessories related to that product. Rawlinson said each primary product might have two or three accessories. "Instead of having the customer have to figure out, and worry about, what these accessories are going to be, we default them and include them with the primary product," he explained. "We found that a vast majority of people will stick with the default." He did caution applying defaults has downstream consequences, such as possibly having to manufacture more of a certain product, or prepare customer service about products that are often recommended. Rawlinson said National Instruments also uses recommendations in the form of social proof on its website. To accomplish this, it targets, and localizes, the social proof website visitors see. For example, if National Instruments knows the visitor is an employee of "Acme, Inc.," that person is presented with references to "Acme, Inc." on the National Instruments’ website. It that visitor clicks on a website tab bearing their company’s name, they will be presented with a recommendation from of their colleagues. "They will say, ‘I know that guy. He works for my company. He is one of our respected engineers, and is saying good things about National Instruments. We should standardize on some of these products,’" Rawlinson said. "By showing very relevant and targeted social proof to the customer, you instantly gain credibility in (the prospect’s) eyes because somebody they trust already trusts you." He added that National Instruments also targets social proof recommendations through geography and industry. The principle behind this tactic is the more someone invests his or her time and energy into something, the higher value or "ownership" he or she will place on that activity. To harness this principle, Marketing enables customers to invest time and energy on the website through tools such as the "parts list" and the website advisor that helps them build complex systems with National Instruments products. Rawlinson explains how the "parts list" tool creates this sense of ownership. "Customers can pull in products that they are interested in, add them to the list, and then customize a proposal that they may need to pitch internally to their management. Then, they can invite coworkers to collaborate," he said. "So, they are starting to take ownership around the products and offerings that we have before they even request a code, or before they even make a purchase." Joe Rawlinson will be presenting these tactics at the MarketingSherpa B2B Summit 2012, August 27-30 in Orlando. Marketing Research Chart: How does your lead gen budget add up?